There was an interesting feature in The Independent on 24 April 2013. 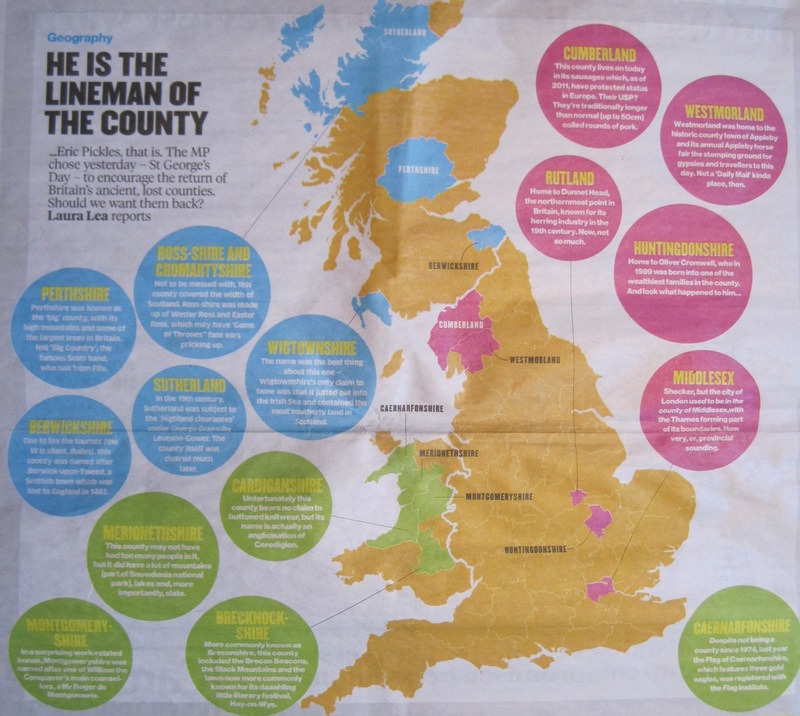 It said that ‘Eric Pickles, the MP, chose St George’s Day to encourage the return of Britain’s ancient, lost counties’. Headed ‘Geography’ the feature had an attractive map of the UK with fifteen ‘lost counties’ identified, such as Brecknockshire, Middlesex, Sutherland, Westmorland, with some facts, in circles, about each of them. One ‘lost county’ shown was Rutland. Unfortunately county status was restored to Rutland in 1997, having been part of Leicestershire for the previous twenty years. Rutland is and always has been the smallest historic county in England – first mentioned as a separate county in 1159 – so its inhabitants will not take kindly to the idea of their county being ‘lost’. There’s more. 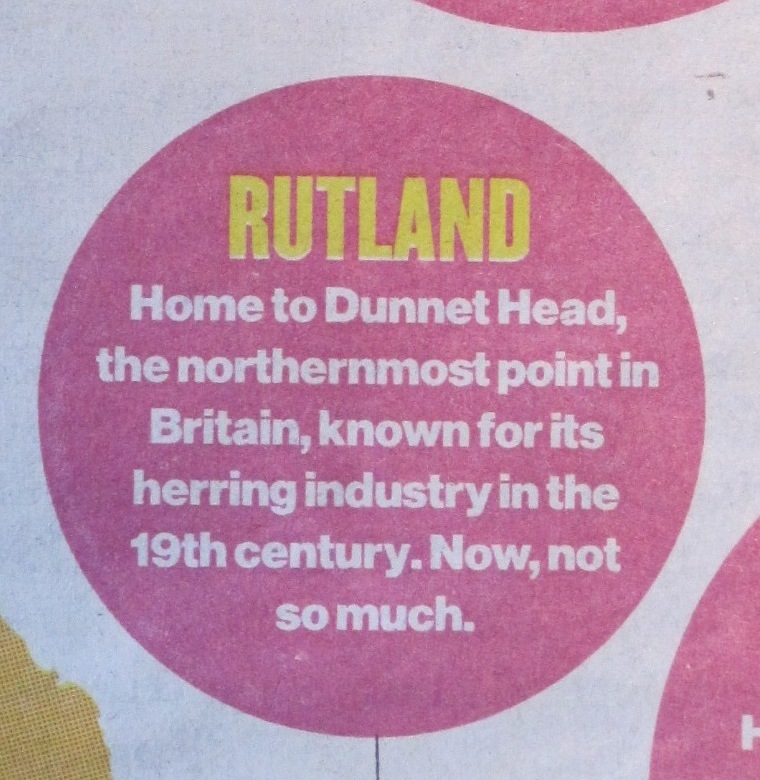 In the circle about Rutland, it says: Home to Dunnet Head, the northernmost point in Britain, known for its herring industry in the 19th century. Now not so much.’ Well since Rutland is landlocked it’s not surprising that its fishing fleet has not survived. Perhaps it was badly hit by EU fishing quotas? Dunnet Head is actually in the ‘lost county’ of Caithness in Scotland. Also Eric Pickles is not just an MP, he is the current Secretary of State for Communities and Local Government.